Shane’s Castle on the shores of Lough Neagh near Randalstown in Co. Antrim is the family seat of the O’Neills of Clandeboy. The Demesne is one of the most beautiful and well maintained in Ireland with a rich variety of flora and fauna, including a lovely herd of fallow deer that have been resident there for many years. 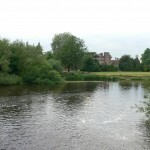 The Castle is in ruins due to a devastating fire in 1816 but the remaining structure, including a unique Camellia House designed by John Nash, is still a prominent feature in the landscape. 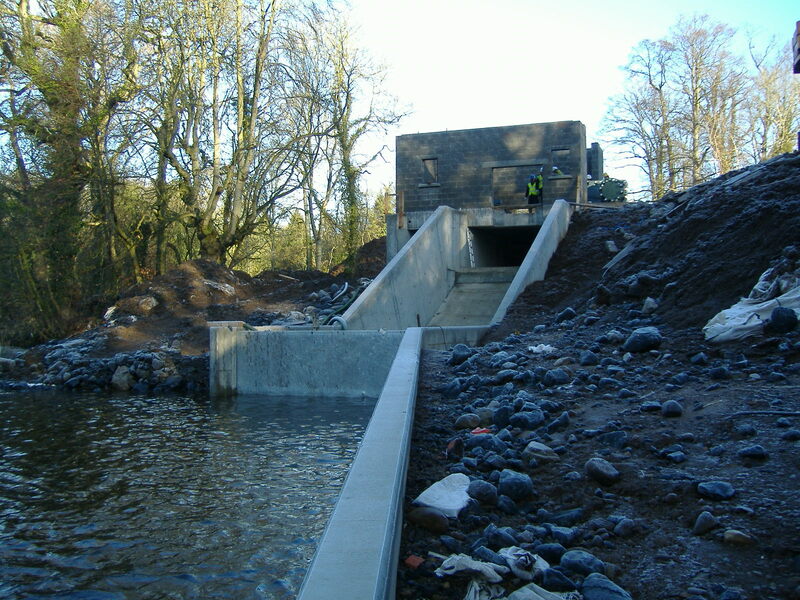 A recent and fitting addition to the Demesne is an Archimedean Screw hydro turbine, ancient technology but with a 21st century application. 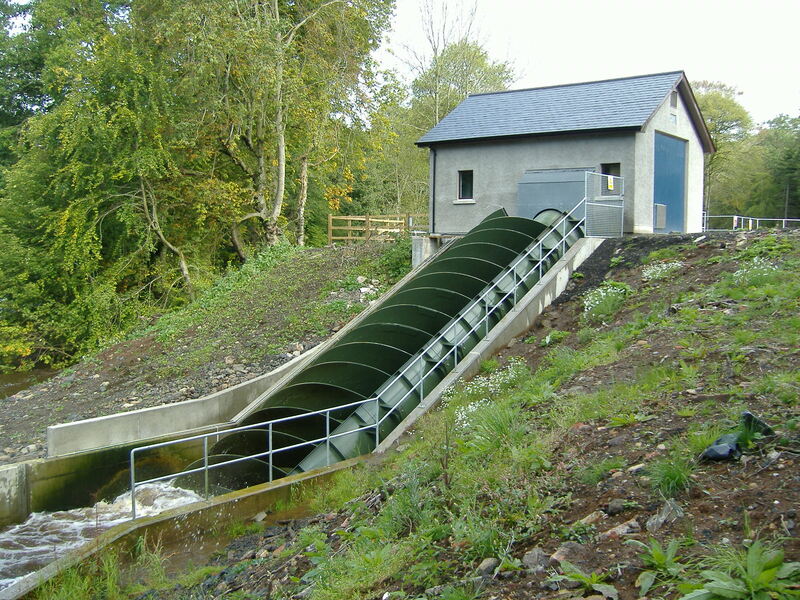 The O’Neill family are well known for their preservation and conservation and love of nature and the environment and this Archimedean Screw hydro project complements their environmental initiatives very well indeed. 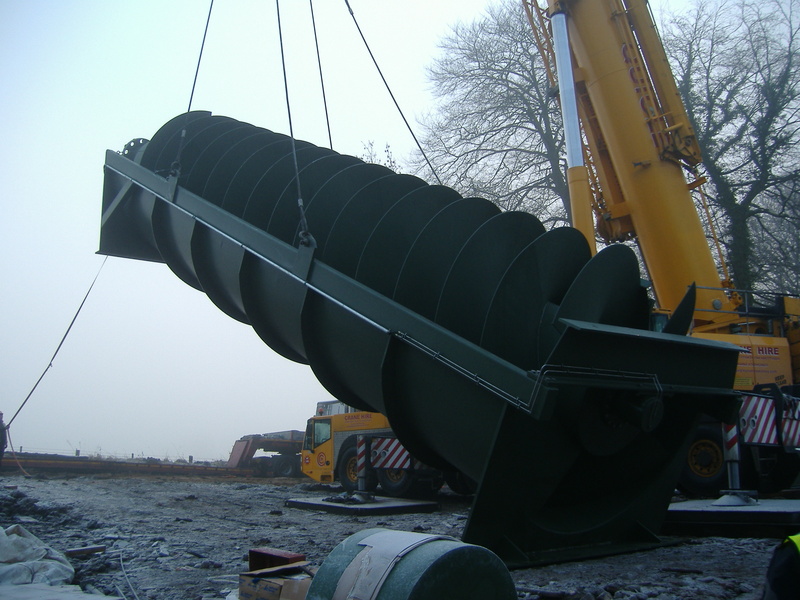 Rated at 214 kilowatts the hydro turbine is predicted to save an impressive 840 tonnes or more of Carbon Dioxide (CO2) emissions annually by generating clean, green electricity and will make a major contribution to the Demesne’s green philosophy. 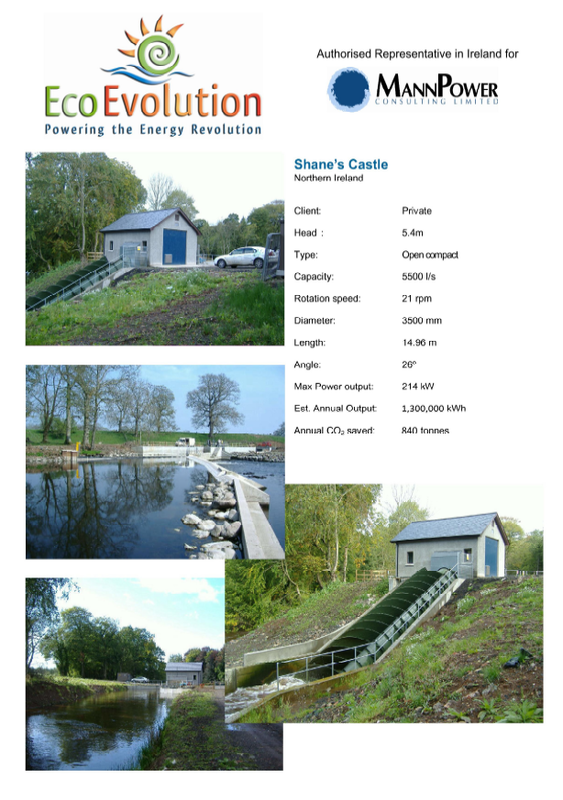 This project is a reinstatement of an old hydro system that was installed circa 1900 that was used to power the estate before mains electricity was introduced to Shane’s Castle in the 1950’s. 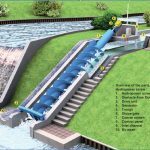 The old system was capable of generating a maximum of about 55 kW so the new Archimedean Screw system, with its high efficiency across a wide range of flows, is capable of producing at least five times the amount of energy over the year. 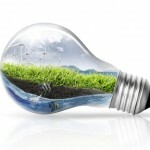 The predicted annual output is a massive 1,300,000 kilowatt-hours. 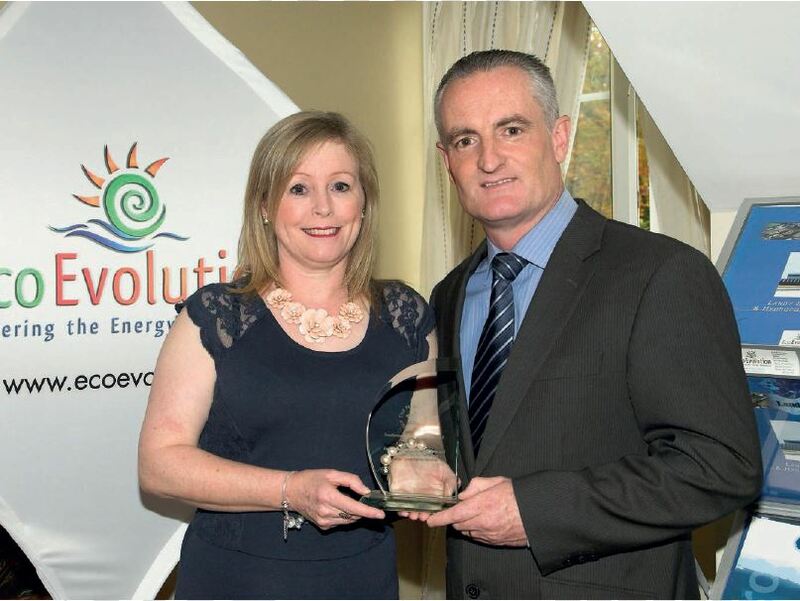 To put this in perspective, an average household uses less than 5,000 kilowatt-hours per year, so this hydro scheme has the potential to power more than 260 houses in the locality. 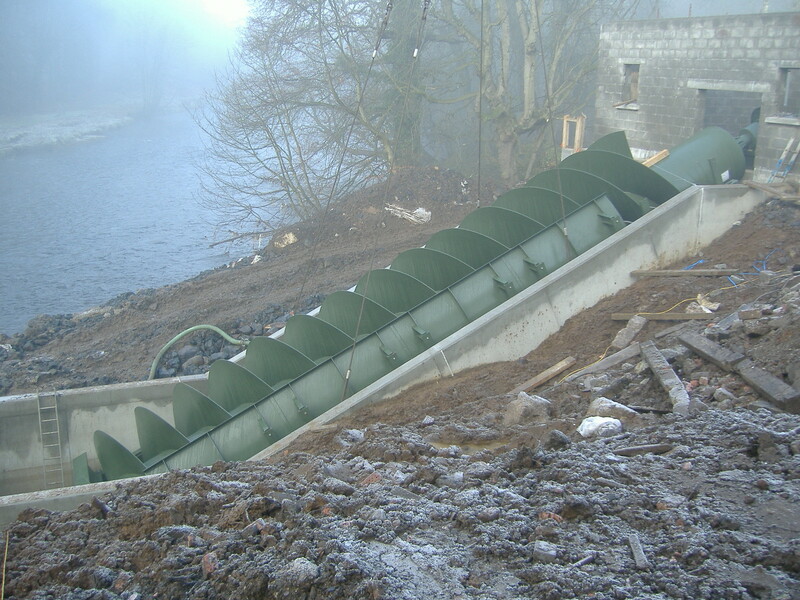 The Archimedean Screw turbine provides a fish-friendly alternative to conventional turbines, ideally suited to low-head (1m-15m) sites, and sites with fish protection issues. 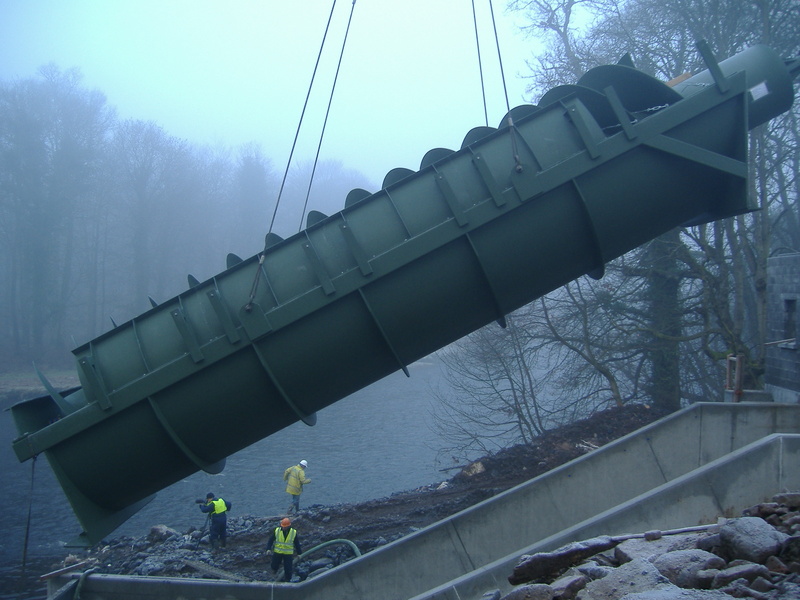 Extensive fish passage tests have conclusively demonstrated that the large water chambers and slow rotation of the Archimedean Screw allow fish of all sizes, and debris, safe passage through the turbine. 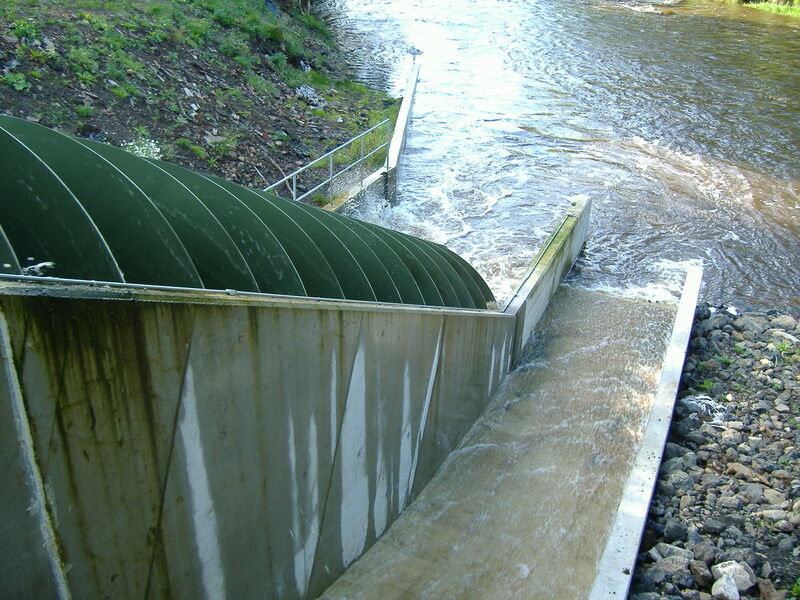 As a result, the Environment Agency (UK) has agreed that no screening is required.Literally thousands of fish passages have been monitored and recorded using underwater cameras at the intake, inside the chamber of the Screw itself and at the outflow to assess the effect of the Screw on salmonids (including smolts and kelts), brown trout and eels. 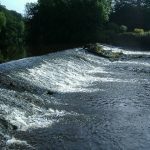 The trials looked at fish passage across a broad spectrum of sizes and turbine speeds, possibly the most impressive of which was the safe passage of a kelt measuring 98cm in length and weighing 7.6kg. 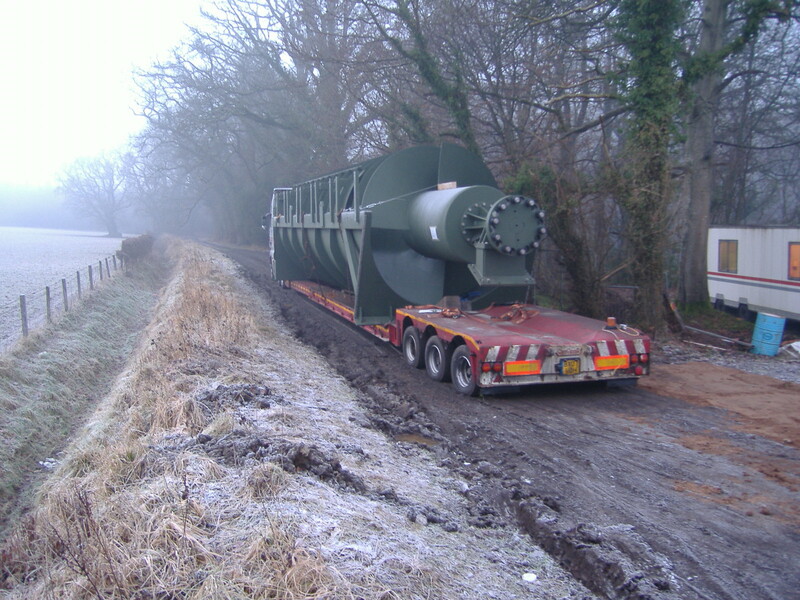 In addition, behavioural and migrational patterns across the species have been shown to be entirely unaffected by the turbine. 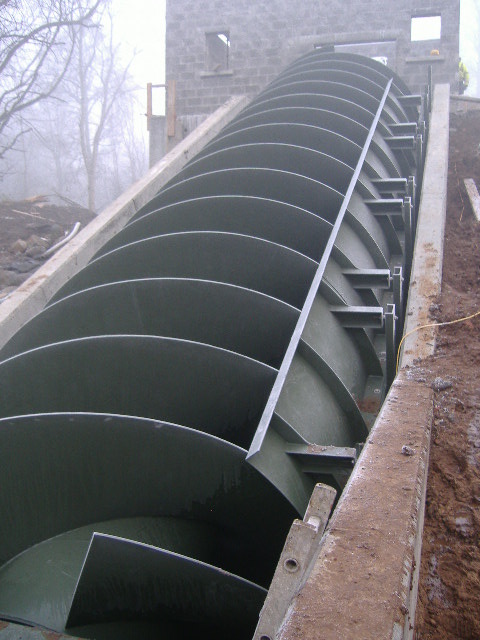 The scheme was designed by Hydroplan and the Archimedean Screw equipment was supplied by Mann Power Consulting based in Yorkshire. 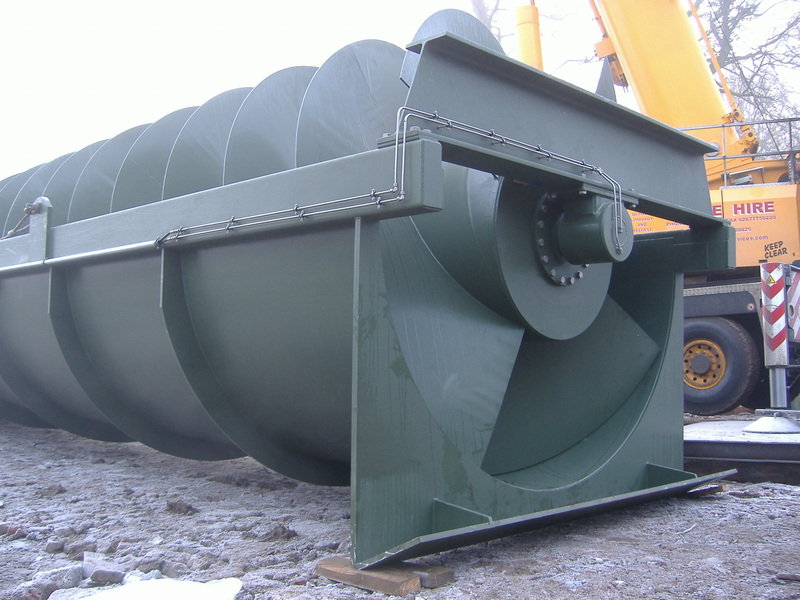 Mann Power are the pioneers of the Archimedean Screw in the UK and Ireland and Eco Evolution based in Co. Wexford are their authorised representative for the whole of Ireland. 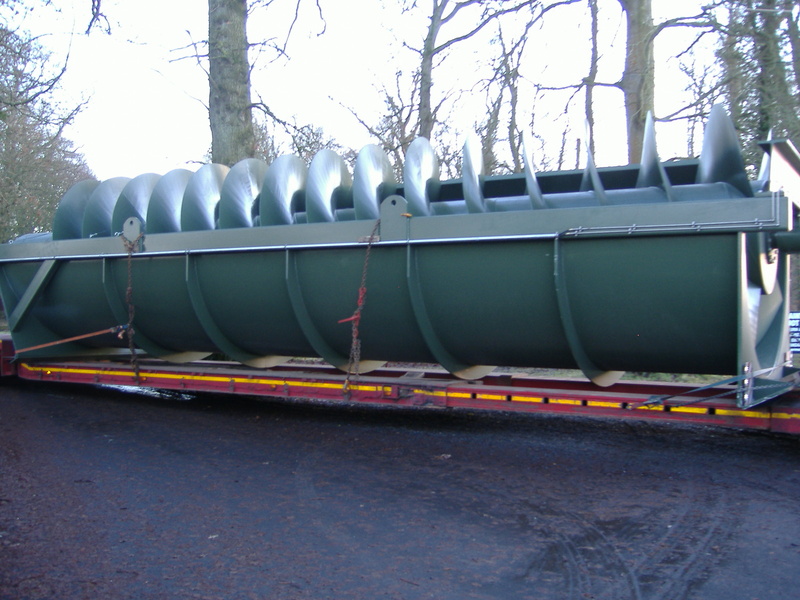 This Hydro project at Shane’s Castle is the first of its kind in Northern Ireland and rated at 214 kilowatts this is the largest single Archimedean Screw generator ever manufactured. 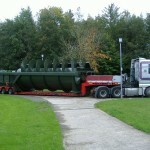 Eco Evolution and Mann Power installed the massive machine at Shane’s Castle earlier this year. 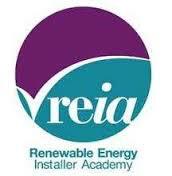 The scheme was commissioned during the summer and it is now fully operational. 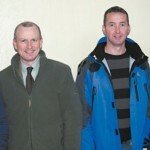 Farmers show interest in Micro-hydro power.